This edited collection is intended as a primer for core concepts and principles in research ethics and as an in-depth exploration of the contextualization of these principles in practice across key disciplines. The material is nested so that readers can engage with it at different levels and depths. 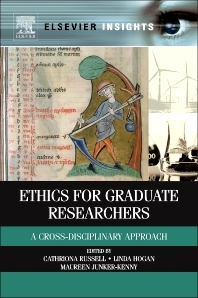 It is unique in that it combines an analysis of complex ethical debates about the nature of research and its governance with the best of case-based and discipline-specific approaches. It deals with the following topics in depth: in the natural sciences, it explores the scientific integrity of the researcher and the research process, human cloning as a test case for the limits to research, and the emerging ethical issues in nanotechnology; in the health sciences, it takes up the question of consent, assent and proxies, research with vulnerable groups and the ethics of clinical trials; in the social sciences, it explores the issues that arise in qualitative research, interviews and ethnography; and in the humanities, it examines contested archaeologies and research in divided societies. What Is Meant by Research Ethics? 4. Bioethics and Biolaw in the European Union: Bridging or Fudging Different Traditions of Moral and Legal Argumentation? 5. Ethics as Consensus Management in Expert Cultures – or Through Civic Debate in the Public Sphere? Virtuous Clinician/Researcher or Toolkit for Ethical Analysis? Third Party ‘Consent’ or ‘Assent’? Cathriona Russell is Adjunct Assistant Professor in the School of Religions and Theology at Trinity College Dublin and Director of the Masters in Ecology and Religion at All Hallows College, Dublin City University. Linda Hogan is Vice-Provost and Chief Academic Officer at Trinity College Dublin, where she also holds the Chair in Ecumenics. Maureen Junker-Kenny is Associate Professor of Theology in the Department of Religions and Theology, Trinity College Dublin.